Heat oven to 375°F. Spray 11x7-inch (2-quart) baking dish with cooking spray. Cook and drain pasta as directed on package. Meanwhile, in 12-inch nonstick skillet, cook beef, 1/2 teaspoon of the Italian seasoning and the salt over medium-high heat 5 to 7 minutes, stirring occasionally, until no longer pink; drain. 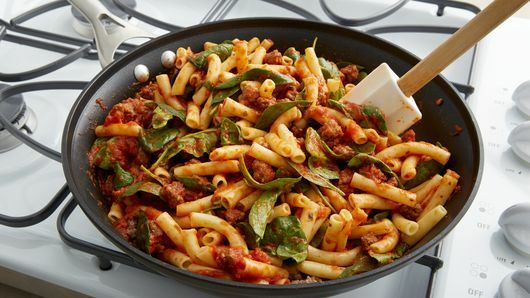 Stir pasta, marinara and spinach into beef mixture until well blended. Spoon into baking dish. Sprinkle with 1 cup of the cheese. 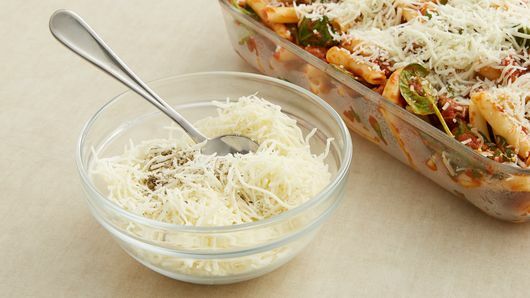 In small bowl, mix remaining 1 cup cheese and remaining 1/2 teaspoon Italian seasoning until well blended. Set aside. Unroll dough. 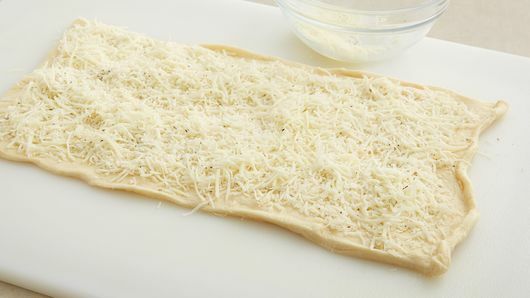 Sprinkle cheese mixture evenly over dough; press into dough. Starting at short side, roll up; press edges to seal. 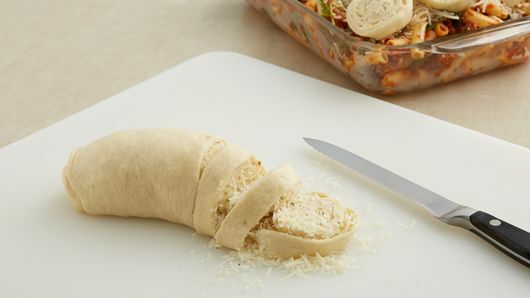 With serrated knife, cut roll into 12 slices; place cut side down on top of cheese in baking dish. Bake 20 to 25 minutes or until crescents are golden brown and no longer doughy. For a spicier flavor, substitute hot Italian sausage for the ground beef. 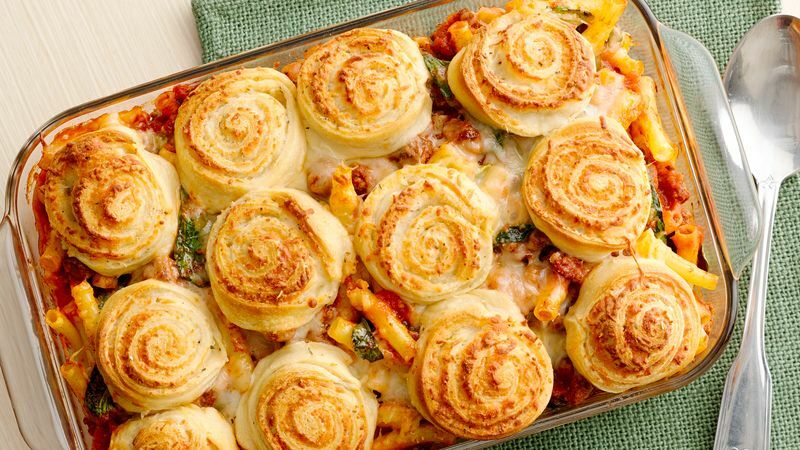 Prepare this baked pasta and beef recipe with your favorite pasta shape. Rotini or penne can be used in place of the ziti. A tossed salad and garlic bread will complete this weeknight meal.